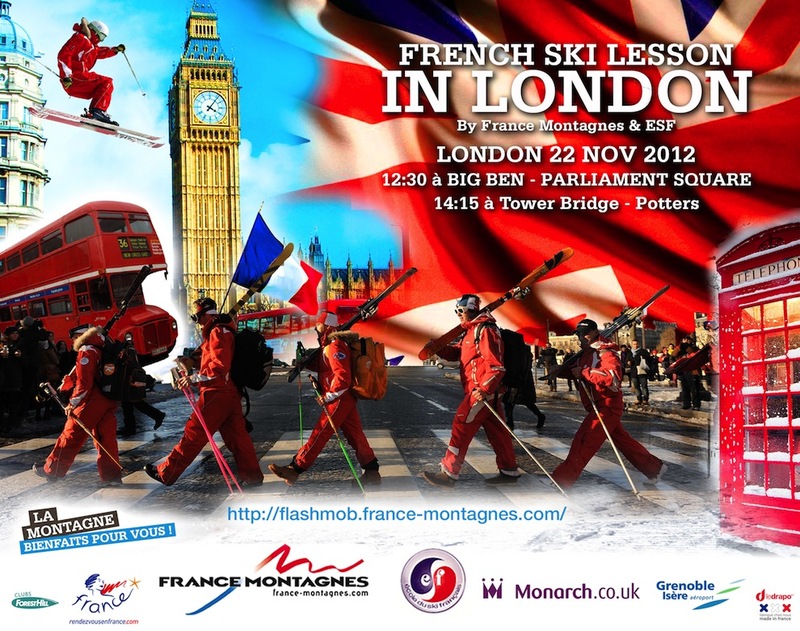 Over recent weeks Frances Montagnes has been heavily trailing a Flash Mob event, due to take place in two locations in London on 22 November. The event, which has its own dedicated website, was due to see 250 ESF ski instructors flown in specially from Grenoble to perform a ‘specially choreographed tribute’ that they had been practising ‘for weeks’. The idea was to create a PR sensation, to follow on from the ESF’s similar Flash Mob event in Paris last year (although the video of that event is less than impressive, more a bumbling five minutes of genial fun). However, the event was cancelled on Tuesday morning. The timing was unfortunate for the ESF in that currently there is a French tribunal against a British tour operator. A number of tour operators (several will be affected by the ruling) had suggested that they could use the Flash Mob as an opportunity to put their own case to any journalists present. Snowheads – the leading snowsports forum in the UK – also had a thread proposing that the Flash Mob should be stopped. Wags suggested their own ‘Flash Pint’ at a local pub, as well as checking that the moniteurs had appropriate qualifications to dance in Britain. A Tout France distanced themselves from the event on Monday morning, perhaps sensing where this was all going. Social Media Fail or just bad luck? Certainly the ESF don’t come out of this well. 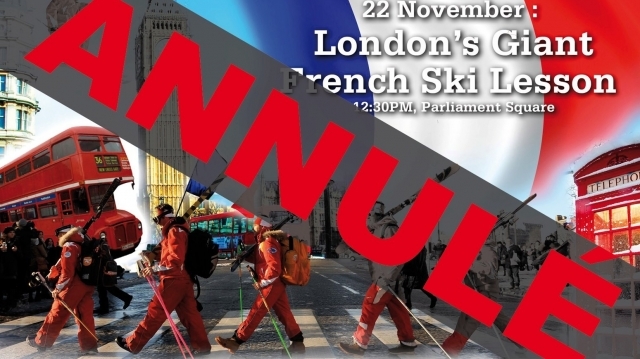 Apart from the hours spent training and costs involved (cancelling 250 flights from Grenoble to London must have hurt), more people have probably heard of the event now than if it had taken place. The ESF should be commended for their ambition – this could well have been PR gold – but perhaps there was a certain hubris (‘250 ski instructors take over the streets of London‘) behind the whole event. It’s surprising that no one identified the ongoing legal case as a potential issue. The whole affair doesn’t reflect well on the ESF and can only have worsened how the organisation is viewed from the UK. Our conclusion has to be #socialmediafail, but we welcome your view in the comments below. Previous postDirect Ski start class war with new ski advertising campaign Next postThe best ecommerce confirmation email ever? I think they did the right thing by pulling the plug. Journos would have jumped on the England vs. France angle and any ESF message would have been lost. Tant Pis. Think you have that spot on! Bloody brilliant. We are supposed to be part of a united Europe and yet reps from my TO aren’t allowed to give me a guided tour of the resort in which they are spending a season? Blatant protectionism.We’re off to VT at Xmas. Daughter and her mates are working there. Can’t wait for the guiding. 🙂 Do ANY British companies give French workers this sort of bull if they want to work in the UK?